Theme: Slavery songs lifted spirits, boosted hopes and sometimes had hidden messages that helped slaves find their way to freedom. 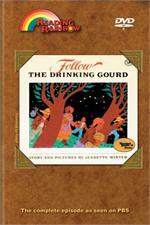 Runaway slaves journey north along the Underground Railroad by following directions in a song, "The Drinking Gourd". LeVar celebrates the road to freedom paved by the Underground Railroad, introducing viewers to the history, heroes, stories and music of the African American culture which emerged from slavery. An a cappella group, Sweet Honey In The Rock, perform and share their historical knowledge of slavery. LeVar Talks About Slavery - LeVar celebrates the road to freedom paved by the Underground Railroad and introduces students to the history, heroes, stories, and music of the African American culture which emerged from slavery. Songs About Slavery - Members of the a capella group, Sweet Honey In the Rock, perform and share their historical knowledge of slavery. 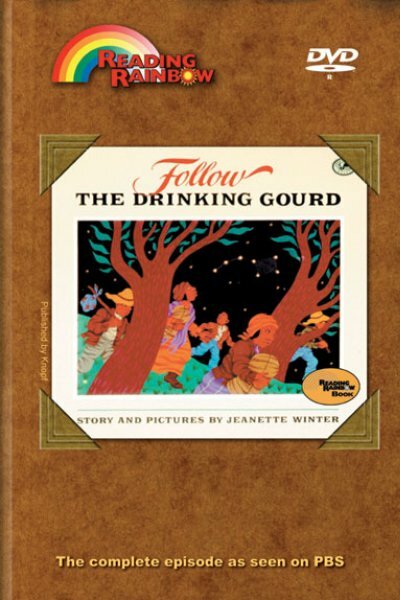 Review Books: shake It to The One That You Love The best: Play songs and Lullabies From Back Musical Traditions, collected and adapted by Cheryl Warren Mattox; A Picture book of Harriet Tubman by David A. Adler; Sweet Clara and the Freedom Quilt by Deborah Hopkinson. A CD-ROM and Family Literacy Kit are also avaiable for this episode. Click here for Theme Lesson Plan -- "Researching Slavery"